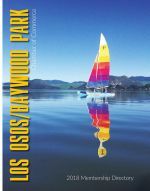 The Kiwanis Club of Bay-Osos is again selling See’s Candy as a fundraiser to support the children in Los Osos and Morro Bay. See’s Candy is a much-appreciated gift for your family, friends, and clients. We will be open the Monday (November 19) and Tuesday before Thanksgiving. We will continue sales beginning Monday, November 26 until we are sold out. Don’t be bashful…come in early and support our great kids! This year we will be located in the store front next to the Los Osos Post Office. Our hours are 9:00 am to 5:00 pm Monday through Friday, and Saturday 9:00 am to 2:00 pm. If you have questions, please call George Janeway at (805) 801-8793.